Weekend is coming! And speaking about it, there's Ipoh on Perak state, which famous as weekend getaway among domestic tourist in Malaysia. The capital city of Perak also being a favorite transit destination between Penang and Kuala Lumpur. It has new and old city, hawker centers, and world famous white coffee center that been an irresistible temptation, especially for backpackers. There are plenty hotel lies along Ipoh. You can search the best references by visiting online travel agent sites, like Traveloka. Especially, when you need the best recommendation. Here you go, the best Ipoh Hotel that surely will amuse you everyday. The 3 stars hotel is popular among travellers because it’s located only by walking distance to the theme park. This themed Melaka hotel also located less than 10 km from Sultan Azlan Shah Airport. Guest may feel gladly lost amidst the lush hills and numbers of comfort rooms. 174 rooms are offered with elegant and modern setting. With room rate starts from RM148.67, you can enjoy the rest while accompanied by great facilities; include AC, flat TV, bathroom, writing desk, Internet connection, in room safe, plus coffee/tea maker. This hotel also ready to treat you with numbers of facility includes spa, lagoon pool, and restaurant. The main plus point of this Ipoh Hotel is the location that only 2.5 km away from the airport. Which also makes the hotel only 5 minutes away from Sultan Abdul Aziz Recreation Park. Impiana Hotel Ipoh is the premier 4 stars hotel with 200 guestrooms complemented with breathtaking views of limestone hills. Offered with rate starts from RM147.57, all rooms are facilitated with AC, flat TV, minibar, coffee/tea maker, Internet connection, safety box, and modern bathroom. As a 4 stars hotel, Impiana Hotel Ipoh is ready to serves you with selected facilities:comprising bistro, pastry cafe, coffee house, business center, banquet services, convenience store, and limousine service. This hotel located adjacent to Ipoh Turf Club that will pamper any business matters. No doubt, this hotel finally became an idol for business traveller on Ipoh. Heritage Hotel Ipoh offers 267 elegant guestrooms with highly security system. All rooms are facilitated with AC, TV, minibar, coffee/tea maker, Wi-Fi connection, and bathroom. Room rate starts from RM160.10. This hotel also provides well treatment by its facilities: comprising sauna, health center, 2 lounges (at lobby and garden concept), cafe, and conference facilities. Find this artistic hotel surrounded by shops, business, and entertainment hub. You can reach this hotel by 10 minutes drives from Sultan Azlan Shah Airport. 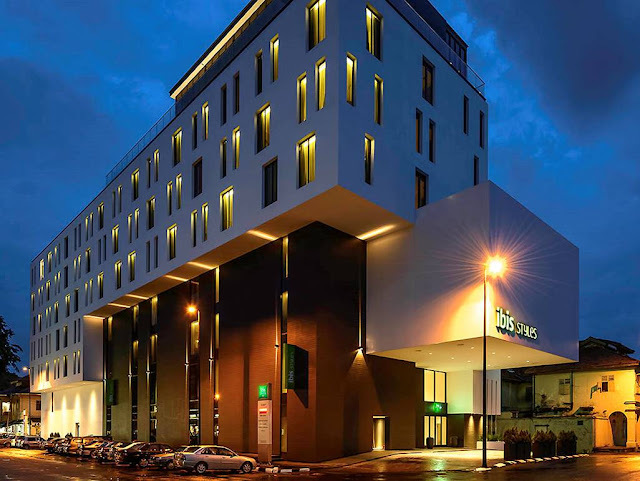 Ibis Styles Ipoh offers 113 well-decorated spacious roomsthat features a brand new bedding sets, AC, TV, coffee/tea maker, minibar, Wi-Fi connection, and bathroom. There are also plenty on-site facilities. You can enjoy the on-site restaurant, coffee corner, or rooftop bar; pamper your child on the kids club, or doing a business meeting on the available multifunctional rooms. Best rate starts from RM185.87. Ipoh is a very nice place, with a lot of foods. I will sure go eat bean sprout chicken rice and buy chicken biscuits when i reach there.